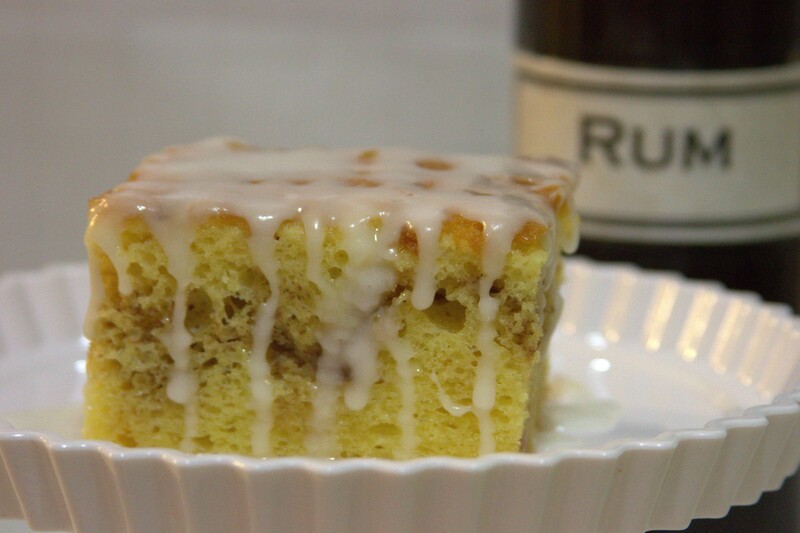 Honey Bun Rum Cake, made with top shelf Appleton Dark Jamaican rum. Slow baked to perfection. Honey Bun Rum Cake, made with top shelf Appleton Dark Jamaican rum. Slow baked to perfection. Here are our cake sizes and how many people you can serve: Regular-12x9 ( can serve up to 9 people ), Large- 22x13 ( can serve up to 25 people ).